3 Leg Torso have been in operation for about seven years. In that time their structure has steadily evolved from its original cabaret trio format, into a small chamber orchestra- with an array of versatile musicians, playing an assortment of instruments, creating uniquely exotic works, whose roots now range from Eastern European folk music, gypsy, klezmer, tango and various jazz and classical references to even country and blues. The primary force in 3 Leg Torso is accordionist Courtney Von Drehle, whose work in local bands such as the Tone Dogs (a group which featured legendary bassist Fred Chalenor and legendary odd person Amy Denio) goes back nearly fifteen years. Courtney was awarded a fellowship to the Sundance Composers Lab earlier this year. There he studied and worked with renowned film and documentary composers. 3LT have already had their work appear in films and commercials, so Von Drehle’s studies will only further enhance those opportunities, to be sure. Violinist Bela Balogh has played with a number of local bands, including the late great Willies, and an experimental band, Lobe, in which he first worked with Von Drehle. Exploring his Hungarian heritage, Balogh is largely responsible for the ethnic Eastern European bent in much of 3LT’s music. Their original third partner cellist Gabe Leavitt joins the group on several tracks here, alternating with John Hubbard in the cello chair. In addition, regular members, percussionist Gary Irvine, xylophone marimba player Rob Lewis (who also adds percussionist) and acoustic bassist Skip Elliott Bowman help to fill out the sound with richness and depth, drawing from diverse and divergent sources. As with Pink Martini, a band with which they have much in common, 3LT have been profiled on National Public Radio’s popular “All Things Considered” program; and have performed with numerous symphony orchestras, at some very prestigious venues. As with Pink Martini, it has been a long time between their first and second albums. In the case of 3LT, it’s been about five years or so between their first album and this one. Here, the “Astor” in the title refers to 20th century composer and musician Astor Piazzolla, an Argentian, whose striking compositions , generally played on a bandoneon (often known as a “square-headed accordion,” and an instrument popularized by fellow Argentinian, Alejando Barletta). In concert chiefly with violin, but often with other instruments- Piazzolla’s music re-invigorated the tango dance form. In addition, his revolutionary approach to composition, utilizing the fusion of a variety of classical, jazz and various ethnic folk idioms, affected a profound influence upon several generations of composers and musicians who followed after him. Beyond that, 3LT’s work alludes to the works of an array of other composers and musicians, known and/or arcane, including Django Reinhardt and Stephane Grapelli, Raymond Scott, Andre Popp, Spike Jones, Hector Berlioz, Heitor Villa-Lobos, Manuel De Falla and Ernesto Lecuona, to name but a few. And that’s pretty much the starting point for the eleven instrumental pieces presented here (nine of which are original). The first cut, “Ba Doum” is a halting number, with Von Drehle and Balogh alternating parts. The general effect is if a blues-based theme along the lines of Gershwin’s “Summertime” were being filtered through Gounod’s “Funeral March of a Marionette” (which was used as the theme music for the Alfred Hitchcock Hour). The title track is a madcap number, which alternates between 6/8 and 12/8 time signatures, while Von Drehle, Balogh and Bowman trade off solos. Balogh’s mandolin-like accompaniment, strumming the strings of his violin is especially effective. As the piece develops, the Piazzolla references become more distinct, as the crazy waltz comes to a close. The klezmer aspect is fully explored in “Zemer Attic/Tanz Tanz Yiddelach,” which is also infused with a certain Middle Eastern flavor as well. Balogh’s pizzicato arpeggios play against Bowman’s fast walking bass, behind the dramatic intonations of the Von Drehle’s accordion through the intriguing melody of “Frog…Secret Agent.” The crazy chase of “Giant Stomp” sounds like the kind of wild cartoon music Raymond Scott or Andre Popp came up with in the ‘40s and ‘50s. Exceptionally well executed, a series of intricate melodies are shared between Von Drehle on accordion, Balogh on violin and Lewis on xylophone. With “Bills Last Adventure” Von Drehle and Balog incorporate classic country western harmonies into that charming little waltz. A curious change of pace. And “Elliot’s Dream” might serve as a fitting elegy for Elliot Smith, who stupidly took his own life last month. A funereal ballad, punctuated by the wonderful interplay between Von Drehle’s organ-like tones, Lewis’ vibes, evoking a celeste, and Balog’s mournful violin. Elegantly solemn. Guest Paul Mazzio lends spectacular trumpet phrasings to the escapades of “My Level Water,” which, in places, calls to mind Piazzolla’s “Hora Zero,” and in others, Ellingtons’ “East St.Louis Toodle-oo.” An intoxicating blend to be sure. “Le Beau’s Hole” is a frenetic, Keystone Cops-like romp, lasting just over sixty seconds. “B & G’s” combines elements of Spanish and gypsy music. That feel is continued on Lacuona’s “Danza Lucumi.” Lecuona, probably most famous for the pieces “Malaguena” and “Andalucia” (which later became the song “The Breeze And I”) is here interpreted through a playful, dreamy treatment; one that acts as the perfect denouement to an imaginative set of perfectly executed arrangements. 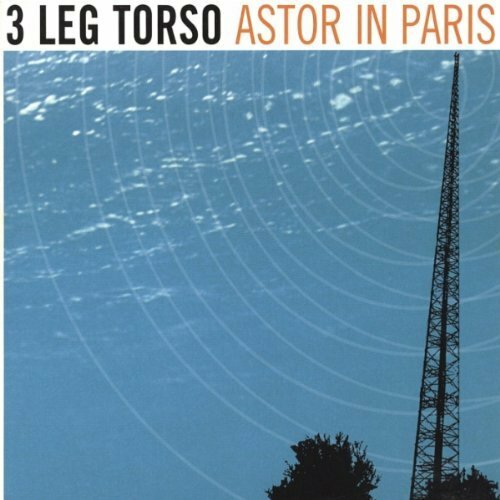 3 Leg Torso’s music is so unusual and so expertly played that it seems to exist completely outside of time and space, in some other dimension: a melodious anomaly. Each member’s virtuosity lends itself to a steadfastly cohesive presentation- one which falls well beyond the boundaries of contemporary musical tastes and sensibilities, spinning obliquely in a dimension entirely unto itself. In that regard, their music can be neither compared nor contrasted, but simply admired. Over the past twenty years Gina Noell has been in so many bands, with so many different musicians playing in those bands, that it would be easy to devise a game called “The Six Degrees of Gina Noell.” From Napoleon’s Mistress in the ‘80s to bands such as Pop Theology, Twig and Love Nancy Sugar in the ‘90s, Gina distinguished herself as a vocalist and co-songwriter. Oddly enough, after all this time, this is her first solo album. And, in that regard, for better or worse, this venture is considerably different from any other in which she has participated in the past. For one thing, she wrote all the songs, and with the help of her husband Michael Cubbon, produced the album, enlisting the services of a coterie of local musical luminaries, including Steve Hale (RIA, McKinley), Lara Michell (Carmina Pirhana), Jordan Leff (UHF), James Beaton (Everclear, Jeff Trott), Joe Davis (Pinehurst Kids), Nathan Khyber (Tales Untold, Absinthe), Keith Schreiner (Dahlia) and Ned Wahl (Chem Lab), among many others. In order to finance this high profile project, Gina launched an unique series of well-publicized private dinners in which, for a small fee, she traded her skills as a hostess and cook to willing friends and patrons (usually one and the same), who received a sumptuous dinner, sparkling conversation and the promise of this recording (when finished) in return as part of the bargain. Sort of a “My Dinner With Andre” meets “Big Night,“ with interesting variations. The dinners, scheduled seemingly weekly throughout the summer months, were a resounding success. They afforded Gina and Michael the capital they needed to eventually have this album mastered and duplicated. With so many “cooks” as it were, pouring over this particular aural stew, the resulting fare is (predictably) somewhat uneven. While a few tracks give the appearance of being a bit undercooked, many come off quite well. Michael’s drum sample programming is a new twist in Gina’s presentation, which heretofore has always relied upon the services of a living being in the percussion department. Here too, there are successes and lesser numbers. Gina performs admirably in the encounter with robot drums; locking in tightly on several tracks. Her vocal/musical influences have always ranged from Deborah Harry to Chrissie Hynde to Rindy Ross- with a touch of ‘60s girl groups thrown in. Here, with the help of Michael, she adds the sort of hip-hop styled electronic accoutrements one might find on a Dido or Garbage album, while adding a bit of techno sheen to the Harry/Hynde/Ross New Wave kittenish purr. “3-65” is a sort of Blondie and the Go Gos versus ‘60s girl group sort of number, with familiar New Wave eighth-note rhythm guitars. The song runs through the verse, which, melodically, sounds vaguely like a re-forged modification of “Here Comes The Sun” (or the familiar chord progression that propels that song) for about a minute before a pretty. Blondiesque chorus briefly enters into the picture. Then, after repeating that cycle, Gina launches into a cut-time bridge, which bears a curious sort of Spanish flavor, before heading back to the verse and chorus. An original admixture of styles well-presented. Even more of a stretch is the moody torchy bluesy waltz, “Perfect.” Here her voice seems sort of reminiscent of Mary Wells, who had a string of hits in the ‘60s, most notably “My Guy,” and Chrissie Hynde. For the most part, Gina succeeds on the vocal, although this particular style is very new for her. James Beaton’s understated organ and piano filigrees add an elegant touch to the mix, as does Jordan Leff’s restrained bass lines- both creating a sense of dynamic tension. Beaton returns on “Never Forever,” adding the same assured elements to that straight-ahead ballad, whose sonorous melody indistinctly calls to mind k.d. lang’s “Constant Craving.” Cubbon’s hard hitting drum programming and Joel Hanson’s ethereal playing on “Addicted” meld with Michael and Gina’s various layers of keys, amassing a sort of 10CC-like wall of sound. Very nice. Keith Schreiner’s programming of a thick, dreamy mix, nicely pinned down by Ned Wahl on bass, nearly swallows Gina’s vocal in the ephemeral “Hands Of Fate.” With electronic storms and lightning bolts, swirling and flashing around her, satellites whizzing by, Gina evokes Shirley Manson’s coolness in the verses, while warming in the ghostly choruses. The pretty ballad “Break The Ceiling,” augmented by Beaton’s keys and some wonderful guitar work by Lara Michell and former Love Nancy Sugar member Dave Pakula, is one of the high points of the set. Gina finds a comfortable vocal range in which to sing; and perhaps a more familiar stylistic territory in which to navigate. Another winner. Similarly, “Black Fog” sounds like an update of Never For Ever-period Kate Bush- again something more immediate and intimate, which fits Gina better. “Heat” continues the retro feel, with ex-LNS keyboardist Stewart Moore’s new wave computer disco dance arrangement, coming in somewhere between Debbie Harry and Donna Summer, produced by Giorgio Moroder. An inexplicably abrupt right turn at the bridge temporarily diffuses a great deal of the song’s forward momentum, before returning to the exotic chorus, supported by the angular girders of Moore’s relentless keyboard treatments. Another soft waltz, “Going On” underscores the “show tune” aspect of Gina’s voice, one which can occasionally pass for a young Liza Minelli, as often as it can for a younger Chrissie Hynde. The chorus of “(Look) What I Can Do” is the sort of life-affirming jingle one might hear as the opening theme for the Oprah show. Ala Helen Reddy (whom she also vocally resembles from time to time) and “I Am Woman,” Gina comes off sounding a bit like “feminist girl,” which actually is a motif which fits Gina’s personae fairly well: smart and willful, yet vulnerable and insecure. 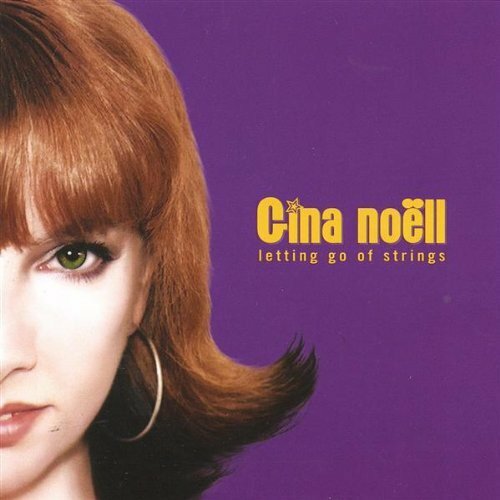 Not every track is out of the park on Gina Noell’s first solo album. But just the same, she has successfully updated her sound, without giving up the intrinsic timeless qualities of her music. What’s most different here is that Gina fully owns these songs, emotionally and artistically, each note and every word- and that difference is subtly profound. While growth can at times be an awkward process, it is ultimately a rewarding one. Norfolk & Western, named after a defunct Virginia rail line, are the brain child of Adam Selzer, a soft-spoken, unassuming writer of all things word. Together for five years, the band has congealed into a tight and talented quartet whose laid-back approach to their music belies the fiery artistry that is actually at the heart of it. Stylistically, Selzer has a lot in common with Colin Meloy of the Decembrists (not the least of which is drummer Rachel Blumberg, who plays on both of their albums). Both have a nasally vocal delivery that recalls Al Stewart in his heyday in the mid-’70s, and more recently, that of Jeff Mangum of Neutral Milk Hotel. Both Selzer and Meloy are superior song craftsmen. Their songs are full of piquant insights and poetic imagery; accessible, yet idiosyncratically atypical, uniquely individualistic. 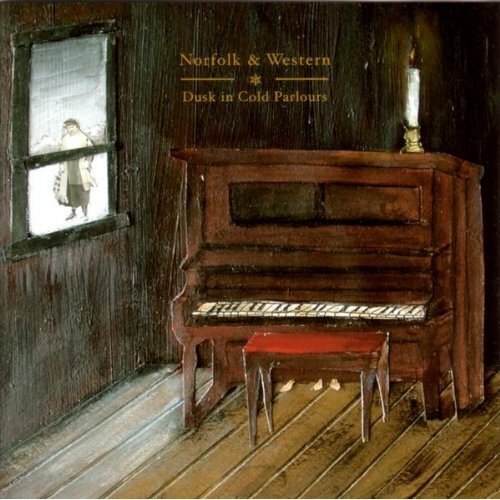 As a band, Norfolk & Western have been compared to Giant Sand and Yo Lo Tengo, among others. For their fourth album, Selzer has collected ten songs and two instrumentals into an album which emits the low hum of prolonged desolation, the peaceful disquieting stillness of time- like the rustle of a cold, dry wind upon the parched pages of an abandoned diary, splayed open in the ruins of a deserted house. Like acrid smoke in the air, loneliness and sadness pervade; dust slowly settling upon old, discolored photographs. Blumberg’s brushes dances upon her snare drum on “A Marriage Proposal,” providing a locomotive action upon the sadly forlorn notion of Selzer’s tale of a lonely marriage proposal; a frozen moment which still hovers in the air- a ghost from another age. David Welch’s reticent bass work adds to the halting quality of the song, augmented by Blumberg’s piano and organ accompaniment, Tony Moreno’s slashing electric guitar interjections and the sprightly pluck of Zak Riles’ banjo. A strange and skewed sense of anomie informs the cryptic lyric of “Letters Opened In The Bar.” “”Let her open up the jar ‘cause she’s only come so far/Letters opened in the bar/Is the lighting ever dim/Let her hope and pray for more, like the vagrants and the whores/Who all seem to come and go, but I never learn their names.” A window into a hopelessly bleak world. “Terrified” is a cheerless tale of personal loss and the cavernous distances which mere living often produces in a close, personal relationship. Reminiscent (more so in spirit than in reality) of Paul Simon’s “America,” whose despondent landscapes are mirrored here in clear detail. Guests, Raymond Richards on pedal steel guitar, and Craig Schumacher on Hammond B3 organ, add to the musical general mood of abject despair. The somber and lovely “Disappear” proceeds behind the layers of Adam’s electric and Spanish guitars, mellotron; Blumberg’s drums, piano and vocals, Welsh’s bass and Moreno’s intermittently searing guitar intonations. Using the exotic Optigan (a revolutionary toy electronic organ for adults, originally made in 1970 by Mattel) as a beat sample source, in conjunction with more mellotron flutes, Adam creates a somewhat bizarre sound bed for “No Else Where He Can Go,” a brittle cha cha colored by Blumberg’s piano and organ tones. The instrumental “A Hymnal” is a restless shifting aura of instrumentation, with cello and lap steel phrasings sifting through the mix. The only real up-tempo song of the set, “The Tired Words” allows Blumberg the opportunity to demonstrate what a marvelous drummer she is. A compellingly odd chorus stumbles onto the verses as if musically tripping over a bucket. “At Dawn Or After Dusk” is a circular little hymn “No I don’t help with all the time I waste/Time is all I have to brace myself for the dwell I pretend to possess.” Well, perhaps that says it all. It is the nature of Adam Selzer’s songs that they rarely repeat lines or choruses. They seem to move in real time, like home movies, in a linear progression from start to finish. There is a certain cold austerity to Selzer’s worldview, presented here, as if the third dimension were squeezed entirely from the scenes, as if all images were filtered through a sepia lens. The haunted antique recollections of a phantom spirit. Grim, grum and glum. Gray as a cloudy day. But as precious as the memories of old friends.